Rochester Community Schools (RCS) Board of Education releases board brief which includes statement on oil and gas leasing of district property. 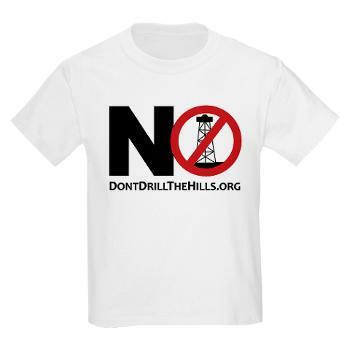 On March 10, 2014, a Don’t Drill The Hills member spoke during public comments of the RCS Board of Education meeting regarding Jordan Development’s (an oil and gas company) expressed interest in RCS property at Tienken and Adams roads (Adams H.S. and Van Hoosen M.S.). As a result, a conversation with the Superintendent ensued, Board of Education members are informed, and the conversation has begun (see RCS March Board Brief below). The district has not discussed leasing district property; however, Jordan Development is expected to return to active leasing in the area of Tienken and Adams in the coming months. Those RCS properties are surrounded by the parks the City has already leased to Jordan Development. We look forward to updates from the Superintendent and the Board of Education as they occur. March is Reading Month! The Board of Education would like to thank all the community leaders and guest readers who came into our classrooms to read to children. This occasion always presents a wonderful opportunity to showcase the great things that are happening in our classrooms and to reinforce the important role that literacy plays in student achievement. March is also the month that the district recognizes our Custodial, Facilities, Grounds and Maintenance providers, and we would like to thank them for their efforts in keeping the district facilities well maintained. Occasionally the Rochester Community Schools Board of Education receives inquiries about activities taking place within the greater Rochester area which may or may not be relative to the district’s activities. Currently, there are two such topics which have been addressed to the Board by community members. The first is that of Jordan Development Company and West Bay Exploration seeking mineral rights leases and drilling in Auburn Hills and Rochester Hills. Early on in this process, representatives from Jordan Development Company contacted district administrators to introduce themselves. Since that time, the district has not talked to Jordan Development and has not been directly involved with their activities. The district is not leasing district property for this purpose however, it is our understanding that Jordan Development Company and West Bay Exploration are within their legal rights to seek permission from landowners for mineral right leases and drilling. Because the district has not leased any property to Jordan Development Company or West Bay Exploration, the Board of Education has not had any discussion on this topic. “Cell phones communicate with nearby cell towers mainly through radio frequency (RF) waves, a form of energy in the electromagnetic spectrum between FM radio waves and microwaves. Like FM radio waves, microwaves, visible light, and heat, they are forms of non-ionizing radiation. The district currently contracts with AT&T and T-Mobile for the placement of two cell towers on district property at Adams High School. These contracts have resulted in total revenues to the district in excess of $310,000. We will continue to explore alternative revenue resources for the district as part of our goal for fiscal responsibility and sustainability. If the administration brings a recommendation to theBoard of Education regarding cell towers, that discussion would be held in public at a regular Board meeting in accordance with the Open Meetings Act. On a final note, many people have asked about the status of negotiations with the Rochester Education Association. The two parties continue to meet and the negotiations are progressing. 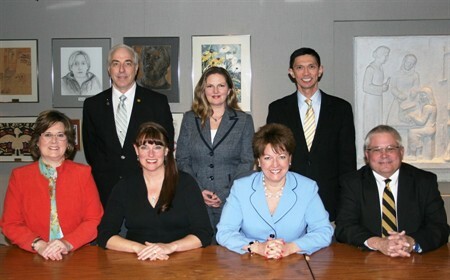 The Board of Education values the dedication and hard work of our teachers. We are confident that both parties are working diligently to come to a mutual labor agreement that aligns expenses with revenues and preserves educational opportunity for all students. We hope that the information provided in this Board Brief is helpful in sharing the Board of Education’s position on these topics. As always, we welcome your questions, comments and suggestions. Please feel free to contact the Board of Education via the district website underBoard of Education. The Mayor says “No Fracking”. The contract says something different.